I am one of those people who has truly always been fairly skinny. Additionally, I eat...a lot. AND, I'm still under the magical age of thirty, at which, my mother claims my metabolism will slow down, I will have at least one child and apparently my body will become my worst nightmare. Because of these things, fitness has not been front of mind for me in the past. In order to combat the whole metabolism issue from occurring (or at least from it occurring earlier than it has to), I have begun to take steps toward being a more fit individual. Two quick things I feel like you should know: 1-I worked an incredibly active job until about a month ago (I lifted 50 lb bags of sugar multiple times a day, walked like 4000 steps a day, etc, so working out wasn't really necessary--nor did i have the energy for it) 2-To say "oh, she's skinny, she must be in good shape" is the most asinine statement EVER! Trust me when I say I get out of breath climbing a flight of stairs just like everyone else in the world. My fitness journey has thus far included the following: in 2012, I decided I wanted to be a runner. Did you know you can't just decide that, buy fancy shoes, and deem it so? Man, I was a little bummed about that. I have run on and off for two years-run several 5Ks, quit because it would get cold, bought lots of cute clothes for running, quit again, etc. ANNND, that is about where my fitness journey has landed at the moment. We found the plan here. 2-Rewarding myself with a new sports bra, running shorts, etc is a huge motivator when I'm not really feeling it. When it was 15 degrees, I bought some cute running leggings and went on with my life. 3- A partner is crucial for me. If Morgan weren't texting me every single day asking what time, where, when we are running, I would have quit. Seven different times. My goal for future fitness includes P90x3, hydrating properly, adjusting my diet, continuing running daily (I want to hit 1000+ miles in 2014), tracking my progress, and so much more. 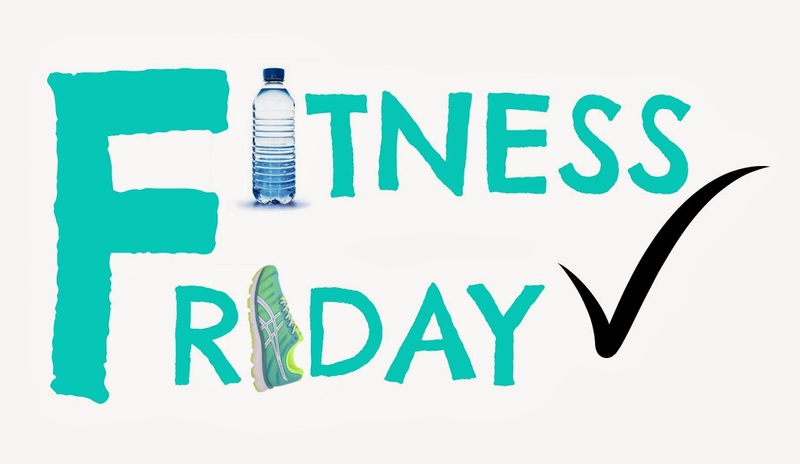 Over the next several Fridays, I will be touching on each of these subjects and addressing how I am combating the enemies of fitness (laziness is huge for me). I hope that my fitness journey will encourage you in yours! Your comment about Morgan keeping you going reminds me of us going to the gym in college. Neither one of us really wanted to be there, but we kept going because one of us was setting the time. Linds, I thought the same thing! I wish you were close enough to still coerce me into going to the gym three days a week! With her story, I can definitely conclude that keeping a record of your exercise is crucial if you really want to achieve a certain body weight and learn more. That is why I suggest others to do the same. Consistency is more essential than amount,sebum control so seniors should center around keeping up their fitness program and cease from enabling in excess of a couple of days to pass by without being dynamic. It is no secret that anyone anna @buildmybodybeautiful who goes to the gym wants to be healthy or stay fit to lead a healthy lifestyle. The farmkey is the shopping Website for indian farming community. Easy user interface of the farmkey is farmer friendly and doorstep delivery of the products save the precious time of farmers. Shop on farmkey for hybrid seeds, genetically modified seeds, fertilizers, fungicides, pesticides, insecticides and more. Farm equipments like sprayers, implements, agricultural pumps and remote operated farm tools. Check this out Online Agri Shop.